Empirically speaking, the universe seems to be entirely fluid, at least above the quantum level. No part of space is entirely free of energy, matter, or gravity. Fish can’t breathe air. We can’t breathe space. Neither is a true vaccum. 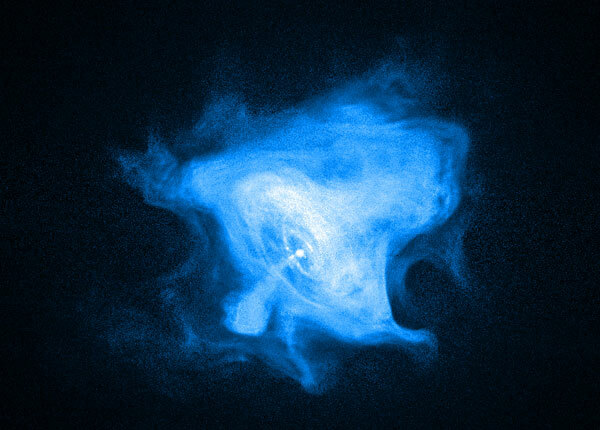 And so that nebula looks like a cloud of smoke or a drop of glow in the dark ink in water because in both cases we are looking at a dense medium suspended in a less dense medium. And in both cases the interaction between these media creates patterns directly analogous one another. As always, click on the image for a larger version and click on the title of the thread for the related article.